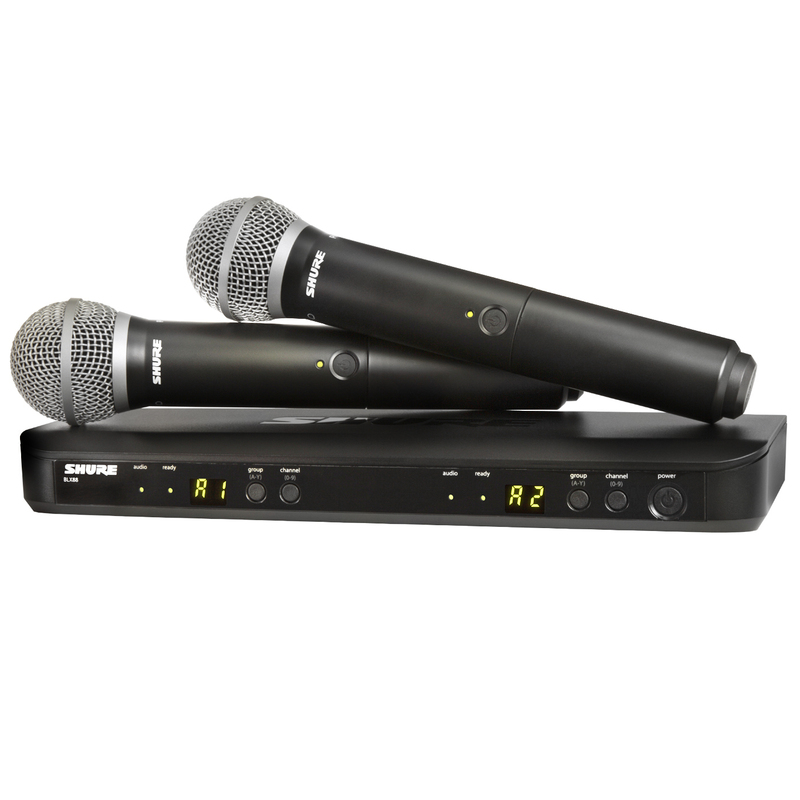 The durable BLX88 offers simple setup, intuitive controls, and microprocessor-controlled internal antenna diversity. One-touch QuickScan frequency selection quickly locates the best open frequency in case of interference. For use with BLX Wireless Systems. 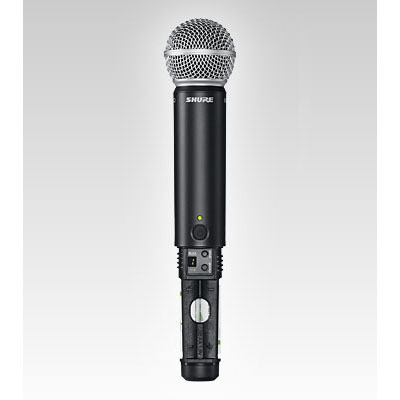 Compatible with Shure microphones trusted by musicians for decades, including the legendary SM58�, the BLX2 transmits wireless audio with professional clarity and reliability. For use with BLX Wireless Systems.